This workshop will provide and approach for properly engineering extruder screws and dies for processing PLA resins. The important material properties will be discussed, and the appropriate design criteria will be defined. Then, we will demonstrate how we apply the design criteria to perform engineering calculations for single screw extruder, and flow channel, design and optimization. The above will be taught through a troubleshooting approach in which poor designs are investigated and new designs are proposed and then verified via simulation and empirically. 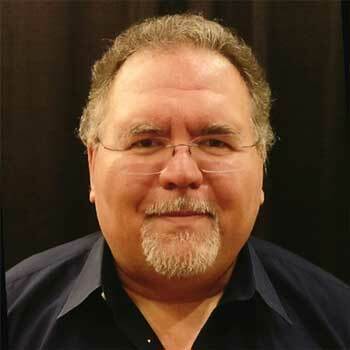 John Perdikoulias is a Professional Engineer with over 30 years of experience in the plastics industry. He holds B.Eng. and M.Eng. Degrees from McMaster University and a Ph.D from the University of Waterloo, Canada. He is currently president of Compuplast North America, providing simulation software and services to the polymer processing industry worldwide. From 1985 to 1996, John was R&D Engineer for Brampton Engineering where he was responsible for screw and die design and helped develop the first commercially available 8 and 9 layer blown film dies in the world. In 1996 he formed Compuplast Canada Inc. as the 1st North American office for Compuplast International (Czech Republic) which he co-founded in 1990. In 2003 he formed Compuplast International Inc (USA) to better serve the growing USA client list. John is an active member of several industry societies and has served as a Chairman of the TAPPI, PLACE Division Council and has been awarded the Division’s Technical Achievement Award. John has also been active member of the SPE Ontario Section holding several positions including President. He is also currently on the SPE Extrusion Division Board of Directors and was been elected as an SPE Honoured Service Member for his contributions to the Society. He is a frequent presenter at industry conferences and has received best paper awards. In 2017, John was very honored to receive the SPE Extrusion Division’s, Bruce Maddock Award for his contributions to the industry.